Hoe zie jij het grote plaatje? Ik bleef met de grote vraag achter: what’s my big picture? 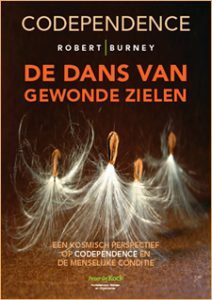 Telkens als ik door mijn blog-kladschrift bladerde kwam ik het citaat tegen en had ik niet het antwoord waar ik van plezier en opwinding achter mijn computer vandaan spring. If you get that there is something that you are supposed to do, and I mean you really get it, and it resonates with you, don’t worry about all the people that tell you: ‘You can’t do it, that’s really silly, there is no way that you’re ever going to be able to do it’. What I am saying is: ‘Just go do it’. If it resonates with you and you know that you are supposed to, just go do it. Don’t worry about whether or not what you are doing is going to fit into the big picture of things. Don’t worry about that. Just go do whatever that thing is because I am going to tell what’s going to happen. What’s going to happen is that big picture is going to catch up to you. And you don’t have to worry about fitting into the big picture. Just allow the big picture to just surround you. Just allow that to surround you. I tell you it’s the most phenomenal feeling. It is just totally incredible. Hier speelt ‘the big picture’ een wel heel letterlijke rol. Als je het grote plaatje eerst wilt zien en doorgronden, dan zie je het niet (die volwassenen) en als je gewoon doorgaat je blaadjes vol te kleuren (het kind) dan komt het grote plaatje vanzelf. Wow! Wat een geweldig filmpje en een geweldige blogpost! Dank je wel Huub. Ik vond het filmpje ook erg mooi, het ontroerde me. Dat kind dat stug doorgaat met kleuren en die volwassenen die er niks van begrijpen, dat triggert wel iets in mij. Een inspirerende log vind ik dit Peter. Het filmpje maakt het zo heerlijk duidelijk voor mij, prachtig! Dank voor het compliment Hanneke. Klinkt spannend dat er ergens een boodschap voor je inzit. Zoals Paulo Coelho zegt: let op de tekenen en symbolen want die wijzen de weg. The question you bring up in this post resonates with me and is connected with the idea that longing and incompleteness are critical to our spiritual growth and creative process. The way I formulated it for myself is, “What is my highest aspiration in this human life of mine?” I then came up with my own creative manifesto (in just a few words) and whatever choice I face in life I match against that “larger picture”. As for making the decisions whether to go forward with something or not, what works for me is to go to my intuition, the wise knowledge of the body as a whole, not just the logic of the mind, and asking the specific question. An intuitive “yes” feels like an opening in the chest area, a feeling of joy from nowhere. An intuitive “no” feels as tightness in the stomach area and around the heart, when it’s a strong “no” it translates as nausea. Intuition though does not tell us what we would like to hear, rather what it is right for us. That is why I might not always choose to go with intuition (we are after all conditioned beings) but then I will know why doing the “right” somehow feels “wrong”. Thanks Irina for sharing about making decisions and connecting with your intuition. I think that longing and incompleteness that you mention, play a role in fueling the process. From a perspective of logic thinking this sounds crazy but from the perspective of the heart and soul it makes sense. That’s what I think.